- Thursday&apos;s broadcast will feature the IMPACT debut of MMA star and TNA newcomer King Mo! In an unprecedented move – one of the biggest names in mixed martial arts, “King Mo” Lawal, will compete in Spike TV’s two major sports properties, Bellator Fighting Championships and TNA’s IMPACT WRESTLING. King Mo is set to be the special enforcer for the James Storm vs. Bobby Roode match at Bound For Glory! What will happen when King Mo debuts on Thursday? Don&apos;t miss it! - The fight between Aces and 8s and Team TNA is set for Bound For Glory! "The Immortal" Hulk Hogan will not be allowed to enter the fight - so who will represent TNA in the battle? Don&apos;t miss Thursday&apos;s broadcast for details! - Tensions continue to rise between "The Charismatic Enigma" Jeff Hardy and World Heavyweight Champion Austin Aries as their main event match at Bound For Glory draws closer! What will happen when champion and challenger cross paths on Thursday&apos;s IMPACT? 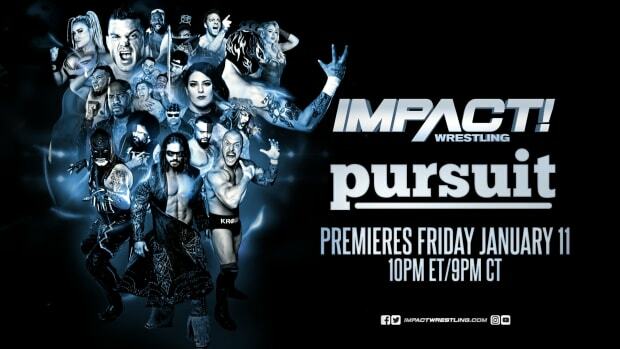 All this and much more on Thursday&apos;s IMPACT WRESTLING on SpikeTV LIVE at 8/7! I will have exclusive live play-by-play coverage of the show starting at 8 PM EDT tonight right here on WrestlingNewsWorld.com.